FOUR Sneak Peek for “The Girl Code” have been released! FOUR Sneak Peeks for “The Girl Code“, which will air on January 3, 2016, have been released by FOX. The episode will be the 10th episode of Season 27. A Promotional Image for “The Girl Code” has been released! A promotional image for “The Girl Code“, which will air on January 3, 2016, has been released by FOX. The episode will be the 10th episode of Season 27. Tapped Out: New Year’s coming! New Year is coming and a new quest started to obtain the New Year’s Ball. The quest’s final task will be available on December 31st though! Check out our event page, and its various sections for each Act, and keep coming back for all the info you’ll need! 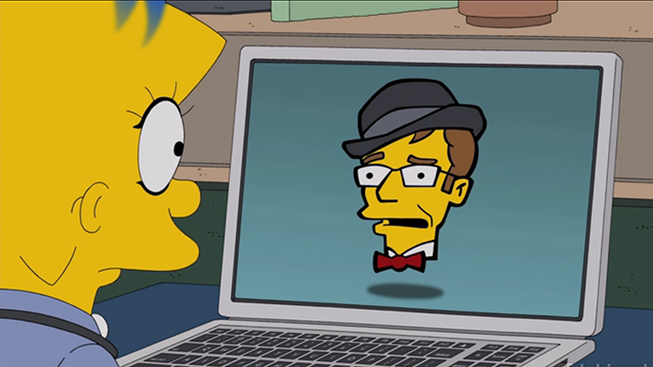 A trailer shown after the December 27th, 2015 airing of “I Won’t Be Home For Christmas” showed sneak peeks for the upcoming 10th, 11th and 12th episodes of season 27, titled “The Girl Code“, “Teenage Mutant Milk-Caused Hurdles” and “Much Apu About Something“. The episodes will air on January 3, 10 and 17, 2016 respectively. Visit our Wiki page for “Much Apu About Something“! Tapped Out: Christmas arrives early as EA finally brings us Maggie! After three long years the time has come! MAGGIE is finally joining our game! To start Early Maggie you need to have all 4 act 2 buildings placed and have completed Oh Come, All Ye Vengeful Pt. 4. You’ve time till January 2nd at 8am GMT to trigger it. 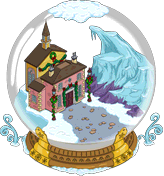 Two new promos has also appeared, for a Starter Pack and the Giant Snow Globe! Note: The Starter Pack promo only appear if you begin a new town! Check out our event page, and its various sections for each Act (Early Maggie and the two promos are part of Act 2), and keep coming back for all the info you’ll need! The glitches for Weekly Challanges never seem to cease. A new glitch started when Act 2 was added. The new Act allowed to build X-mas Trees Slightly Irregular. 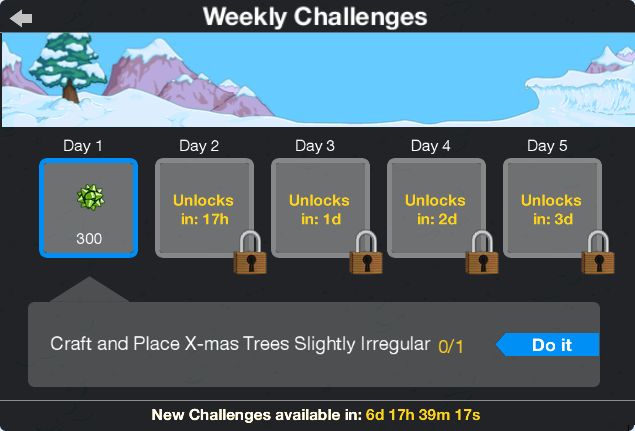 But in Week 3 of the Weekly Challenges, the first challenge is to craft it. The game doesn’t recognize the crafting and we’re waiting, while reporting it, for EA to fix this. So do NOT craft it till the week 3 challenges starts for you. Unfortunatly this come too late for most, we can only hope EA fixes it soon! Update: The glitch was solved in a later update. Check out our event page, and its various sections for each Act, and keep coming back for all the info you’ll need! Check back this post for any news on a fix for the glitch! Tapped Out: Act 2 of the Winter 2015 Event is active now! The second act of the Winter 2015 Event is live and soon, on December 23rd, Maggie will be unlockable just a bit early then Act 3. And Happy Simpsons Day! 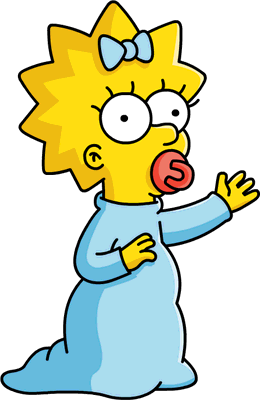 Happy Birthday to The Simpsons!